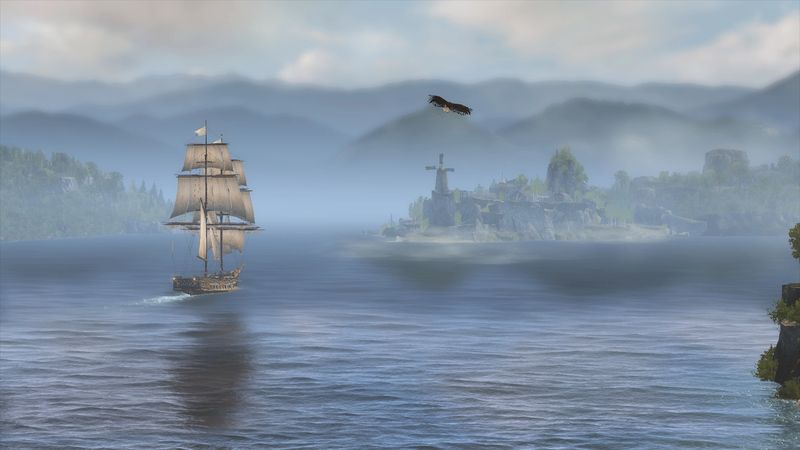 A successor of sorts to the brilliant Assassin's Creed Black Flag, Rogue was somewhat overlooked when it was released back in 2014. In that difficult 'cross-gen' period, Rogue was designed to take care of Xbox 360 and PlayStation 3 owners, but the key focus for the series was the technologically ambitious, but ultimately flawed, Assassin's Creed Unity - Ubisoft's series debut for PS4 and Xbox One. Rogue didn't really deserve its second tier status - it was a great game with a lot of visual highlights and with the release of this week's remaster, the game gets a second chance to shine. 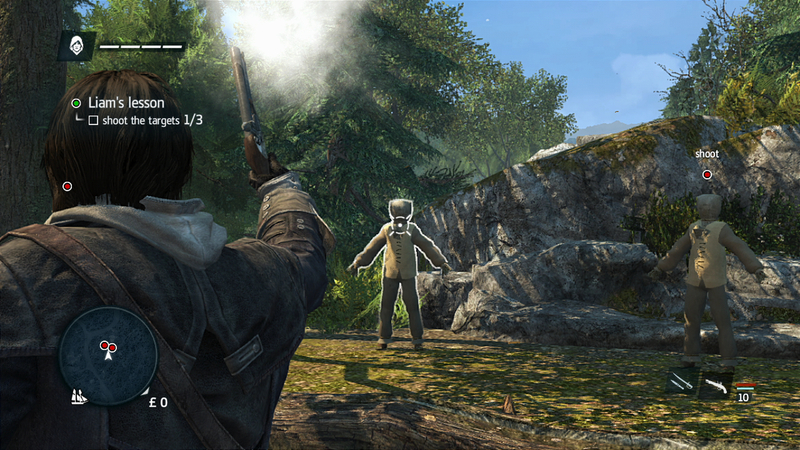 Of course, the key question is straightforward enough: to what extent has the game actually been remastered? 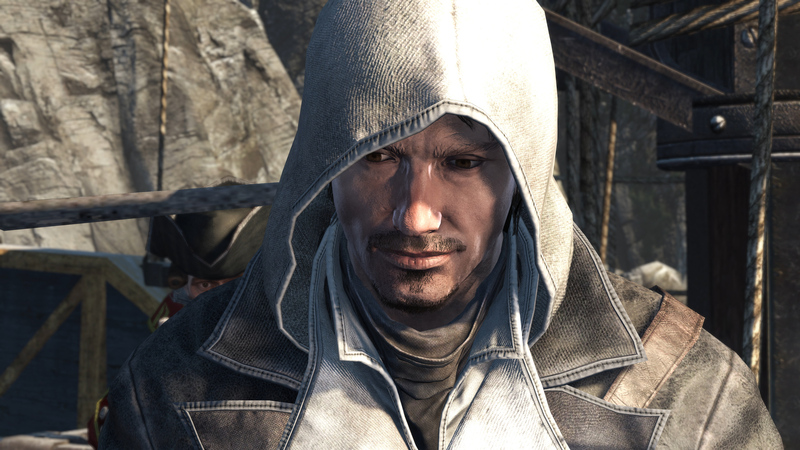 Ubisoft's PR describes 'enhanced graphics with improved environment rendering, upscaled shadow resolution, denser crowds and more'. Certainly, after playing the opening hours on PS4, Xbox One, and the two enhanced consoles, it's true that it's not a simple res bump. 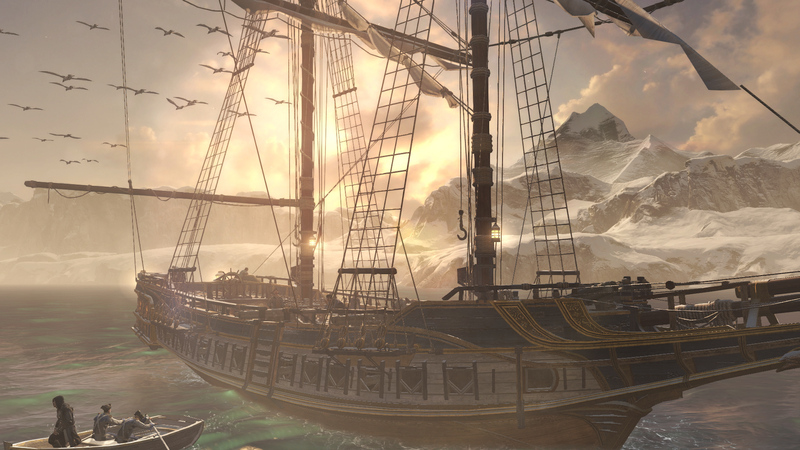 Let's not forget that Rogue has close ties to Black Flag, a cross-gen game that did receive PS4 and Xbox One upgrades - all of which are present and correct in this Rogue remaster. However, there is evidence that Ubisoft has pushed the Black Flag engine on. To begin with, both the standard PS4 and Xbox One consoles run at 1080p resolution (up against Black Flag's 900p on the Microsoft console). The only aspect to distinguish the two is in anti-aliasing quality, where the base Xbox One pushes a rougher looking frame, despite the shared pixel count. It's a similar situation on the enhanced machines; both Xbox One X and PS4 Pro deliver native 4K - a 4x resolution bump over the base models, but with the X model producing slightly rawer edges by comparison. In all cases, the improvement in image quality over the last-gen versions is tangible, especially going from Xbox 360's circa 1200x688. 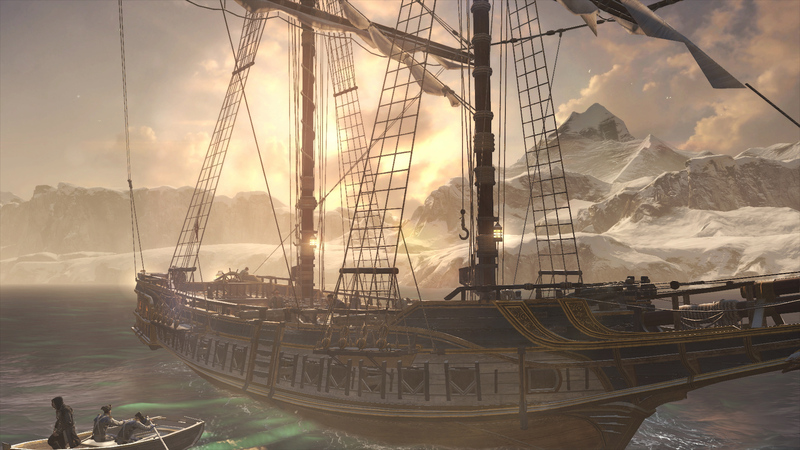 Many of the remaster's other upgrades already exist in Assassin's Creed Rogue's current PC version. 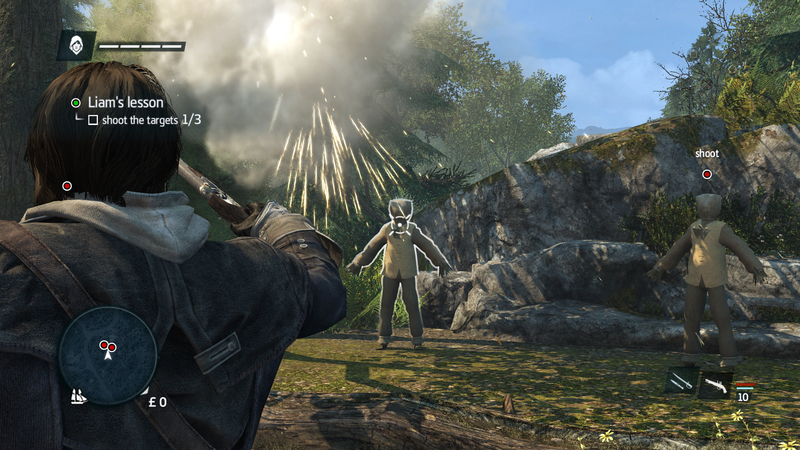 It follows that compared to Xbox 360, you get massively upgraded smoke and particle effects which fall in line with PC's top settings version. On top of that, texture quality is improved, giving all remastered editions the same resolution maps as PC's max preset, again setting it apart from last-gen consoles. Remarkably, bearing in mind their vintage, the textures hold up surprisingly well, even when running at 4K on the enhanced consoles. Here's how Xbox One and PlayStation consoles - standard and enhanced - stack up against Rogue's original release on last-gen consoles and PC. There are also a host of other small changes, including a push for more NPCs, but in terms of visual design it's clear we're getting a big leap over the last-gen release. Even volumetric effects like god rays are enhanced massively for the remaster, compared to the stripped back look on Xbox 360. It even goes further with changes over and above PC: reflection shaders now sport a gaussian blur that move away from the pristine, mirror image result on the Xbox 360 and PC at top settings. It's a different method, and while the remaster's effect is blurrier in still shots, it does a better job of simulating light refraction on ocean surface.. In terms of geometry - model detail and terrain pop-in, essentially - a lot remains unchanged from the old PC version running maxed, and broadly speaking it's the same deal. 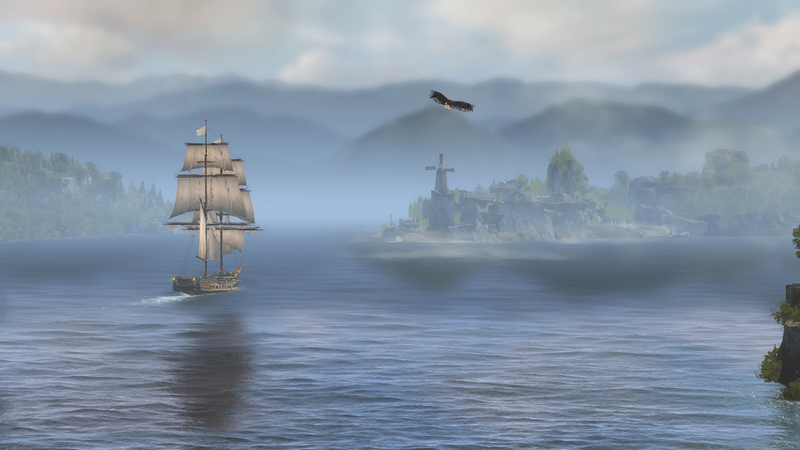 However, there are some occasional tweaks, with the remaster delivering broader environment LODs, and also pushed out foliage draw distances. 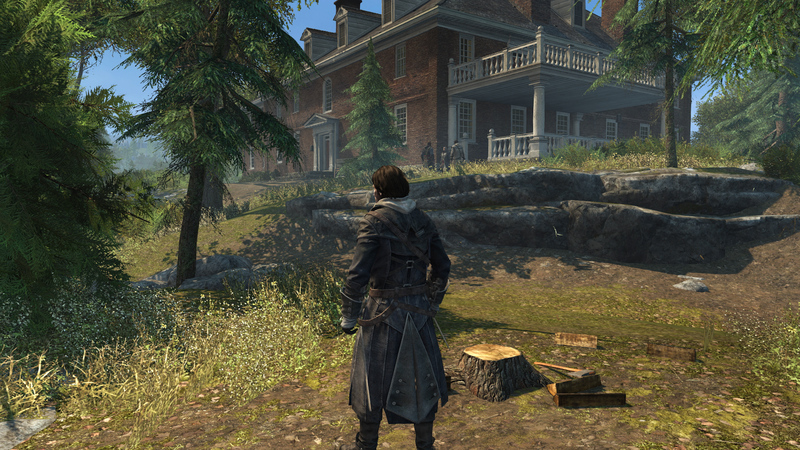 There are examples of changes to tree density too, but in general, the overall experience is still comparable to the older PC version of the game. All told then, you don't need to go all out on a powerful Xbox One X or PS4 Pro to get the best features from the game - they're all present and correct on the base consoles too, just rendered at the standard 1080p. 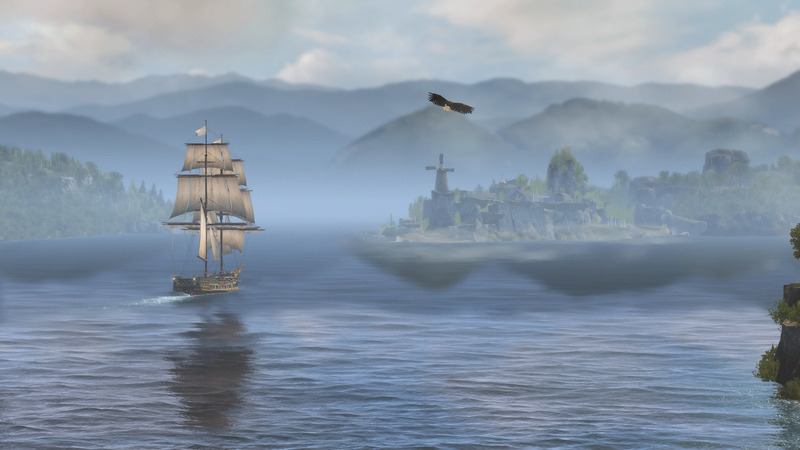 Even so, Rogue scales well to native 4K and a particular highlight is naval warfare: combining wave physics, smoke effects, plus volumetric lighting and those beautiful god rays just looks a treat at ultra HD. Assassin's Creed Rogue Remastered on PS4 compared to the original version on PC and Xbox 360. 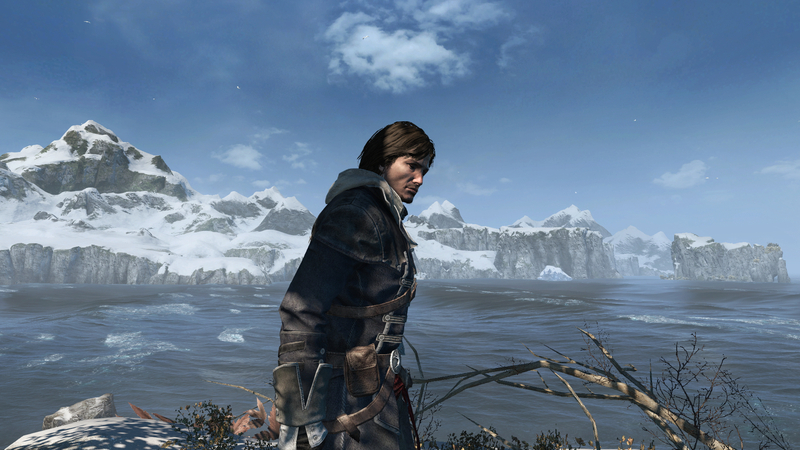 Resolution-wise this is a native 1920x1080 on Sony's standard PS4, next to the circa 1200x688 used on Xbox 360. This remaster has a lot in common with PC, using its max settings for textures, shadows and foliage. The world layout is largely as-is, but terrain draw distances are pushed very slightly further afield on the PS4 remaster. Reflection quality also gets an overhaul for PS4. 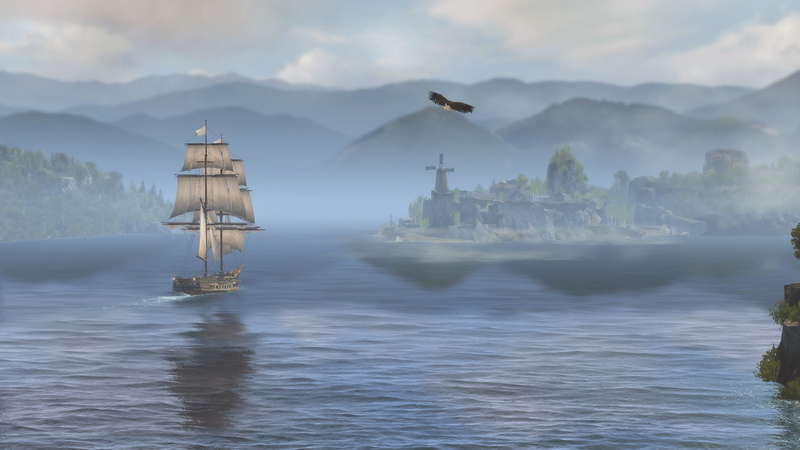 A new shader is used on the ocean surface to simulate ripples and waves, whereas the original version presents a near mirror image of the nearby scenery (with 360's running at a particularly low resolution). Overall it's a blurrier, but arguably more realistic effect. It's also a shot that demonstrate differing LODs on the PS4 remaster, where cliffs are rendered at a higher polygon count at this range. 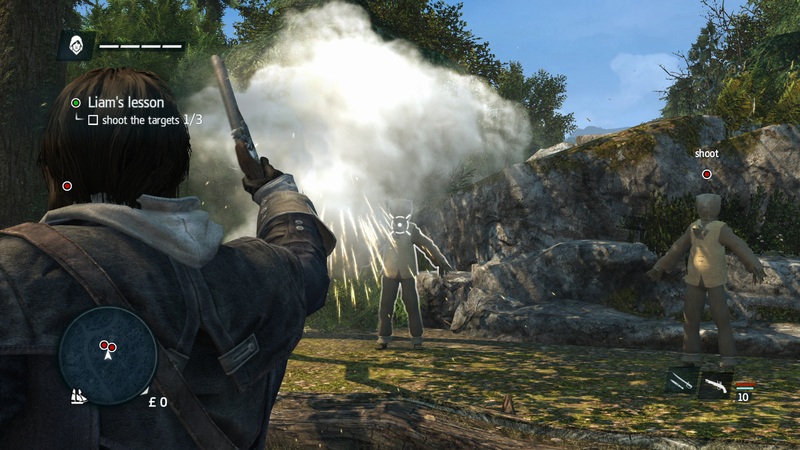 Particle and smoke effects are also running at PC's maximum setting in this remaster. All shots are 4K from here onwards. You get a native 1080p on PS4 and Xbox One, and 4K on PS4 Pro and Xbox One X (the latter of which uses a less thorough anti-aliasing pass). Shadow resolution gets a boost on Xbox One X though - while both PS4 machines turn in similar results to one another. 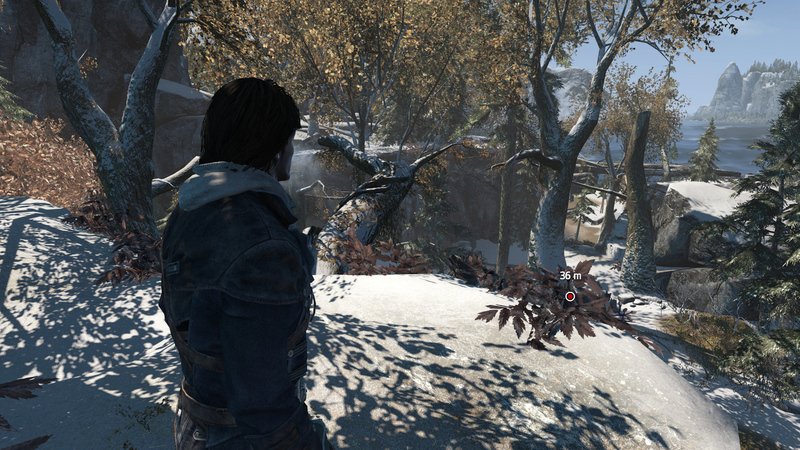 Meanwhile Xbox One trails the pack with the lowest shadow quality, and weakest anti-aliasing. Core texture quality is shared between all four machines, and equally so for model detail. However, there is a divide in depth of field quality between the standard, and enhanced consoles. 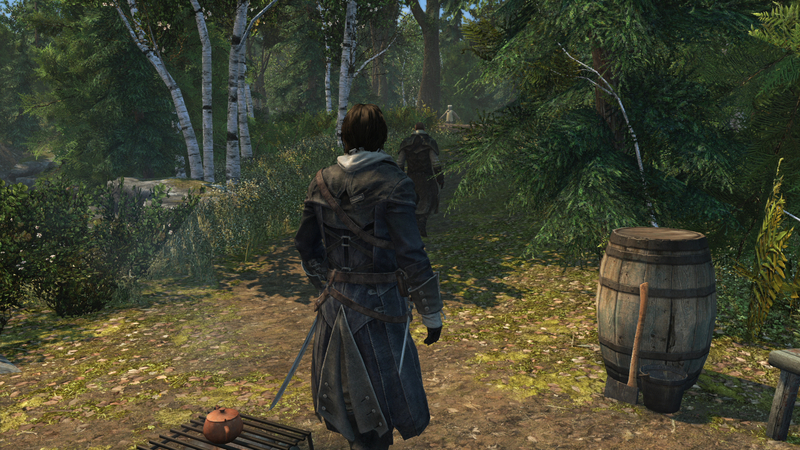 Image quality is crisp, and at 4K, foliage pops beautifully on the enhanced consoles in particular. Placement of plants is variable, but overall all platforms render the same details. 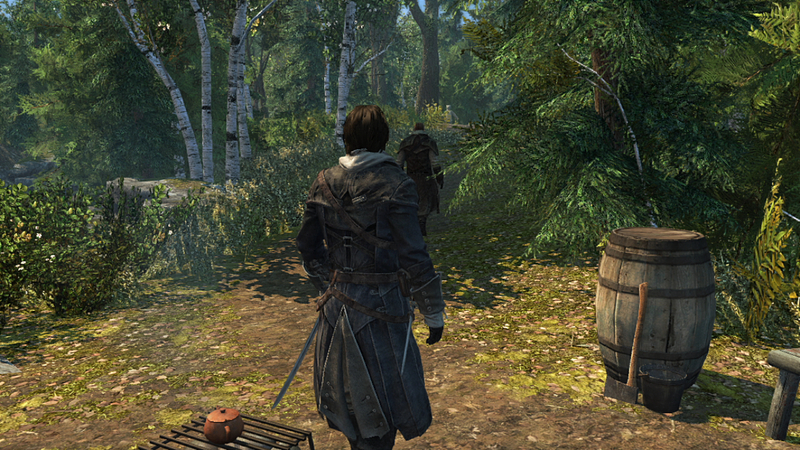 The standard PS4 however, does show a lower quality texture filtering setting by comparison to other versions. Reflection gets a subtle boost on Xbox One X and PS4 Pro; ship details are sharpened next to the baseline models. All of the original PC version's top-tier settings make the grade, including volumetric fog and that gorgeous god ray effect. You'll note PS4 Pro is missing wave and water caustics in this shot - something we've put down as an anomaly, as it appears in other scenes. By and large, all versions offer the same visual feature set, but there are some exceptions. In addition to 4K rendering, dynamic shadows get a stark enhancement on Xbox One X, giving sharper, higher resolution results beyond what we had on the original PC version. PS4 Pro runs at equivalent to the standard PS4 game, while the base Xbox One gets a reduction in quality here. The second upgrade is the use of a sharper reflection map on PS4 Pro and Xbox One X. Again, it's nothing radical, but that mirror image comes across as a touch more detailed on the enhanced systems. As for performance? 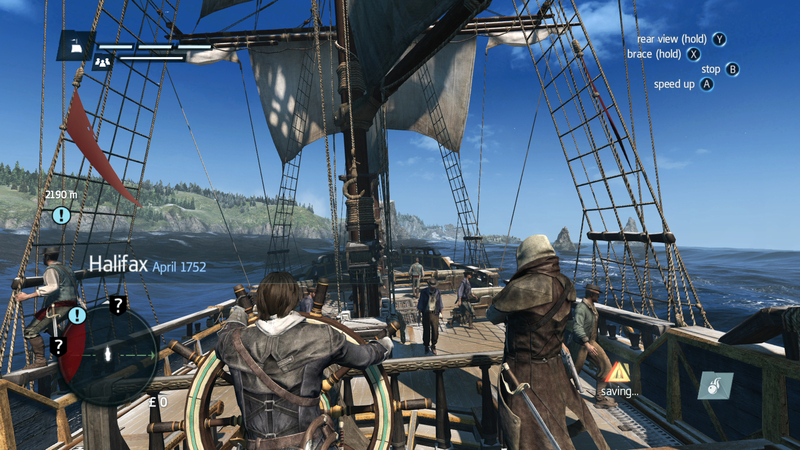 Well there's no 60fps here - all of the versions tested delivered a rock-solid 30 frames per second instead, putting it broadly in line with Black Flag's original outing on PS4 and Xbox One way back in 2013. It's certainly an improvement from the Xbox 360 and PS3 versions, which actually ran unlocked, with frame-rates fluctuating between the mid-20s up to 40fps. Beyond giving us an idea of the amount of overhead each console had in certain scenes, it wasn't the best solution - frame delivery was erratic, and the newly introduced 30fps cap in the remaster keeps motion smooth on current-gen PlayStation and Xbox hardware. It's a shame that full refresh 60fps couldn't have been delivered in this remaster, but that would have required a significant amount of engineering effort for what was always a CPU-heavy engine. 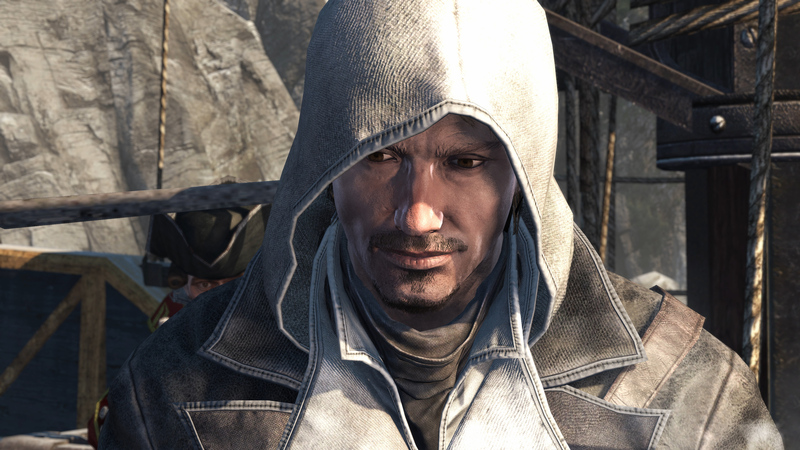 Still, as straightforward as it is, what's being delivered here is what we've come to expect of an Assassin's Creed remaster, and even a cut above what we've previously seen in the Ezio Collection. The good news is that Assassin's Creed Rogue Remastered delivers an accomplished and enhanced port of the original PC edition and we've had a lot of fun playing it. It's a solid way to revisit an overlooked title if you missed it back in 2014, where that option to play at 4K on enhanced consoles is a very welcome bonus.